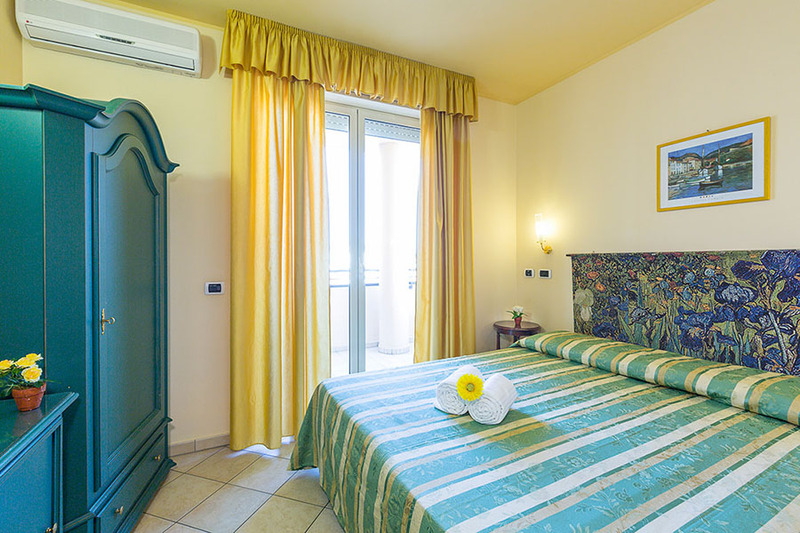 The 48 bedrooms of the Hotel Green Park, appreciated 3 star hotel in Tortoreto Lido, are all furnished with all the main comforts, suitable to satisfy all Your needs. The Hotel has two kinds of rooms: Standard and Gold, both the same comfortable but slightly different. Interconnecting family rooms are also available. The Standard ones have a practical furniture, have stand-alone air conditioning, LCD TV, telephone, safe box, private bathroom with hair dryer and balcony. The Gold ones, instead, at the third and fourth floor, have a more romantic furniture, have stand alone air conditioning, LCD TV, fridge, telephone, professional hair dryer in private bathroom, electric shutters, balcony, magnetic lock doors, soundproof walls. Furthermore, Green Park, 3 star hotel close to Alba Adriatica, has Standard and Gold Suites or rather connecting rooms, perfect for who travels with all the family. 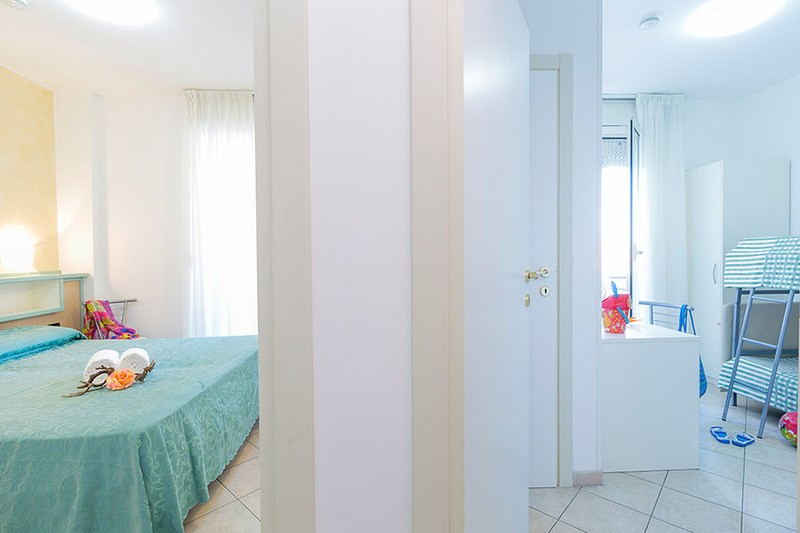 The Standard Suites consist of a bedroom with a double bed communicating through an internal corridor to a bedroom with a single bed or a single bed or a twin bed. A full bathroom and an additional bathroom in the second room consisting only of a shower and sink, terrace. Comfort: air conditioning in both rooms, 2 LCD TVs, 1 safe, 2 hair dryers. The Gold Suites consist of a room with a double bed communicating through a small corridor inside a room with 2 single or double beds, 2 complete bathrooms, each one inside the room, balcony. All double comfort: 2 LCD TVs, 2 safes, 2 fridges, 2 air conditioners, 2 hair dryers. At least, for families of 4 or 5 people, we propose apartments located in a building adjoining the hotel's garden. 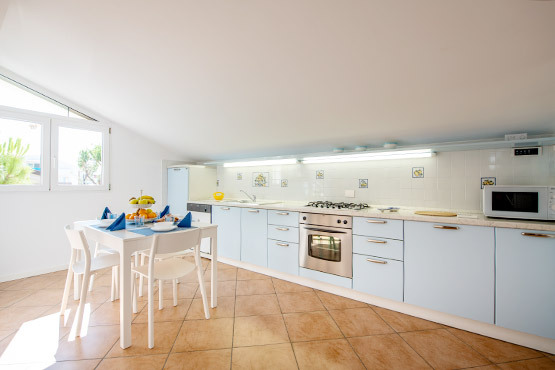 Our apartments are located in a building adjoining the hotel's garden, ideal for families of 4 or 5 people. All of them are two-room apartments, with garden view, and some of them have double bathrooms and large terraces. A brand new four-room attic. 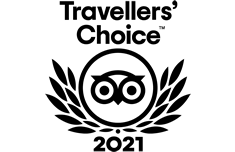 You'll have all the hotel services in a larger accommodation. Comfort: air conditioning, equipped kitchen, microwave, ironing board, air dryer, safety box, washing machine, elevator, parking lot, free wi-fi. 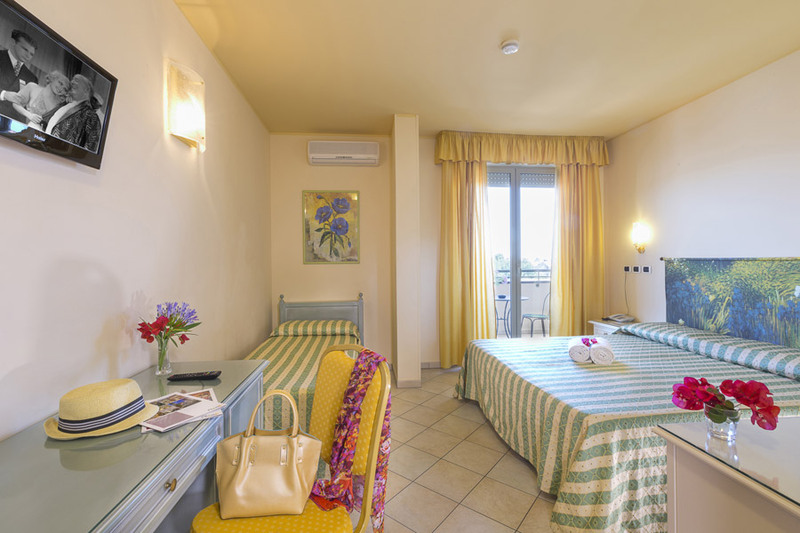 Our rooms make Green Park one of the best hotel in Tortoreto, ideal to spend a pleasant and relaxing holiday at the beach in this stretch of Abruzzo, all along really loved.